I really needed a new PC as my iMac crashed. I've been an avid Apple user for almost 20 years now, but lately i have not been impressed with my friends in Cupertino. I switched my MacBook Pro for an Alienware 17" a couple of months ago and to be honest, couldn't be happier. Yes, Windows has it quirks, but no longer am I trapped within the Apple-ecosystem. So I decided to build a new Windows system and switch (back). Then I discovered pcpartpicker.com and found the most awesomely modded PC's on this site. I needed one of those! I built a PC before with the NZXT Kraken for my son and wanted to step up my game! I chose the color scheme first and then went hunting for materials. I needed quite a beefy PC as I use it for work as well, so it should be able to deal with After Effects, Photoshop, Illustrator, MsSQL, Reporting services, Visual Studio and more. (oh yeah, and a couple of games). The case was easy, I really wanted a Parvum system as I love those cases. I sent them the logo for a Kitchensystem which I created (www.annonceronline.com) which they carved right into the case. 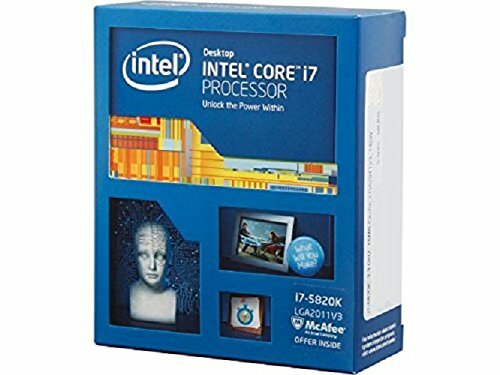 I wanted an i7 over an i5 and decided on the 5820K because I could get a good deal on it. With it I matched the Kingston DDR4 ram. 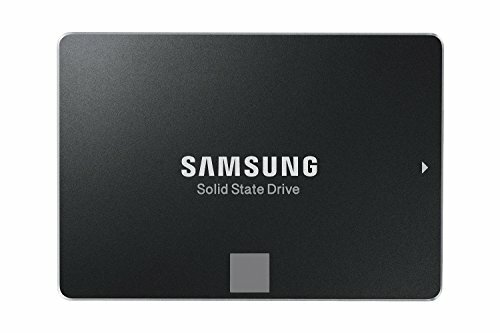 I chose one large SSD over a smaller one and an extra HDD mainly because I couldn't figure out where to fit the HDD (In hindsight a good choice). A good video card was a requirement and the GTX 980 Ti came out just weeks before. I decided on the EVGA reference model as it was one of the few models that I could find an EKWB waterblock for. As for watercooling, I ordered most of it through EKWB. The CPU and GPU waterblocks, fittings, tubes and the GPU Backplate are EKWB suited for the respective hardware. The pump is a Laing DDC-1Plus MCP355 outfitted with a Bitspower DDC top upgrade and a Bitspower reservoir. The radiators are from Darkside, 1 3 x 120 and 1 2 x 120. Mounted on those some Thermaltake's Riing's. The waterloop currently goes Pump > GPU > CPU > Rad > Rad> Res >Pump. I wanted to put a Rad between CPU and GPU, but couldn't figure out a routing without putting tubes everywhere. The tubes I bent using the primochill bending tool, which I'm not sure if I would recommend. I ordered 8 meter tubing figuring I would definitely have enough to learn this artform and make sure I would end up with some nice tubes. I had to order extra tubes. Modding wise I painted the motherboard with Tamiya model paint, and the RAM as well. The cabling was finished off with black shrink tubes and wire covers. I painted the GPU backplate as well with the Tamiya spraycan. Filled the loop, tested for 24 hours, no leaks. Added colouring and installed windows. Couldn't be happier, it runs great and silent. Hope you guys like it. Damn... You got a lean, green mean machine! Also, congrats on slamming the door in apple's face! slamming the door in apple's face! I used to like Apple Products... Then Tim Cook was appointed CEO. Then the new MacBook happened. And then the new MacBook "Pro" happened. to be honest man it really is no that bad. Yes, i did have to order some additional things on top of the computer it self but I have had no issues with it at all. I have the late 2016 15" model in silver with the i7-6720HQ processor and the radeon RX460 Pro GPU. dual boot windows on the thing and there are no issues with it. USB-C is cumbersome right now so i did order a thunderbolt three doc for my laptop to use when i am at home. I only have to occupy one side of the laptop when i have it plugged into power and the dock making it easier to manage the cables the run from it. Apple: Lots of money for what they call "performance" while they just through some trashy i3 or i5 in a piece of garbage and charge you $1700 all the while confining you from leaving. And you can't get a windows 10 bootable drive from a mac it won't work. I left Apple and will never turn back (with the exception of the iPhone). $1700 - The price of a new i7-8700k and 1080 System. That's performance! Oh, 4K Monitor included. Nice try iMac, not getting a 34in any time soon are you?! Well, Mate, I think you're an awesome dad :D never too old to be custom building computers thats for sure. I really think you nailed it, here. You have perhaps gave me the perseverance to attempt my own custom water loop. Ive built many systems in my time but never had the balls to attempt such beauty. What makes your build stand out is, it's not a mainstream h100i build with a 4790k. No. It has identity. It looks like you carved a beautiful piece of creation that enlightens your passion. I can just imagine every morning you wake up from bed and stare at that PC thinking i did a bloody good job, and you did mate. I always tell others that for me and i presume for many others that, building a PC isn't just placing parts together. It's like building a dream house or building a relationship. You make sure that it stands out, you make sure that theres an identity not inconsistency. You make sure you're unique and this is what you have done. There's always a better build out there I'm afraid but you have set the bench mark right here with beauty, sophistication and great order. You made everything in that build stand out and for that, i wish i can give you a + 100000000 because you deserve it. Once again, congratulations to a great father and great builder. You have made us all witness what true custom PC **** really looks and feels like. A big and almighty +1 for you, Friend!!!! Thanks mate, really good to see my time and effort is received like this. The biggest compliment someone can make is to say that it inspires them to try it as well! Hey dude, for the past few months I've been researching and learning how to build a PC and I'll have the opportunity to do so in a few months (my first build). I was originally gonna go with an AIO because I'm lazy / mostly not confident with my abilities to make a safe custom loop. But I've seen the benefits and aesthetics of custom loops and I really want to try it. Have any tips for me? Yep, make sure you order more than enough tubing if you've never bent tubes before! I had to re-order as a lot of my tubes didn't end up the way I wanted. Also, make sure you have a drain in your system. Yep, a drain, so you can easily drain out your cooling liquid. You can see in my pictures that I didn't build one in. I figured it wouldn't be a big deal and was already building so I skipped it. In hindsight, I should have built one in so I would advise you to do so. Also, in what order do I organize the parts, what's best for cooling? The case I'm going to build in is probably the Enthoo Evolv ATX Glass which has room for 280mm rads in the front and top and a 140mm rad in the back. To be honest, I'm really no expert. It probably depends on what you can do within reason. I had planned the following: Reservoir\Pump > GPU > Rad > CPU > Rad >Reservoir\pump. However, when I received my case I couldn't mount my 360 rad the way I wanted to. So in the end, my loop goes : Res > GPU > CPU > Rad > Rad. Is this ideal? I don't think so. Does it work well enough for me, yes it does. Maybe If I really want to push my CPU to the edge a different loop would have been better, but this is just fine for me. Looks great! I hope it get's featured! I this is not going to be featured, i'll put a curse on pcp! A horrible, horrible curse! "If" and "pcpp". ; ) But i'm gonna do it…! will this make THE LIST though? Me too, I don't think I've ever turned off the filter. Maybe because this build isn't even half a day old? How did you get so good with building PCs when you're a mac user for 20 years???? I decided to go the easy route by using hardline tubing with bends. Love the part choice and looks of this. Great job! Ha ha, you're right. I meant to put the word 'easy' within quotes. I new it was going to be hard, but I really loved the look of hardline tubing. It was still harder than I thought though. Very nice build! Do you think you would have room to add another GPU in SLI under water in that chassis? Really Love the build +1. since I know people are going to be curious about the loop (including me!) you should add which rads and fittings you used. as well as the direction of your loop so say Pump>GPU>CPU>RAD>RAD. Cant really tell which directions your loop is going in since I have no previous experience in liquid cooled past AIO's. Also maybe where you got your cables from :P. Another thing is I cant tell if you are using Vardar Fans or not, could you tell me which ones? That being said, really fantastic example of liquid cooling! Also, might I recommend some LED's for your case? I find it can really make it pop! Good point. The fans are from Thermaltake and have LED's in them. You probably can't see it well from the close up shot, but in the shot with the monitor you can see it. I'll add the rest of the info in the description a bit later. ah I know those fans lol. Could not recognize them becuase I have never seen any turned off XD. Nice Build! One Question: How did you prepare the surfaces of the Ram and the mobo-heatsinks before painting? Hope you have fun with this beauty! most people might have messed that ram up... looks like you did it well though. I like that you left the X paint free also. I decided on the EVGA reference model as it was one of the few models that I could find an EKWB waterblock for. EVGA has a "Hydro Copper Gaming" 980ti that is basically a 980ti with a waterblock preinstalled. What specific CPU waterblock are you using? Good job with modding BTW! Didn't know that. Pretty good to know. That's awesome! I will remember that card for my next build. I'm using the EKWB supremacy block. That is gorgeous. I wish I could hit the "UP" button a whole lot more. Freaken outstanding job on this. He has the approval of the mighty AION-MC!!!! No problem! I'm really enthusiastic about this, so ask me anything. I ordered everything from EKWB and Highflow.nl. does spray paining parts void warranty? I would think so. However, I was surprised to find out that EVGA still accepted the video card under warranty, even though I removed the stock cooler and bolted on the waterblock. (The card crashed on day two so I they sent me a new one). Just wow, man. I REALLY LOVE black and green themed PC. (droll) To the featured build where you belong! Why does this one not get featured yet? -sniffles- this is beautiful.... That black and green is stunning! Awesome! Which kind of paint did you use? 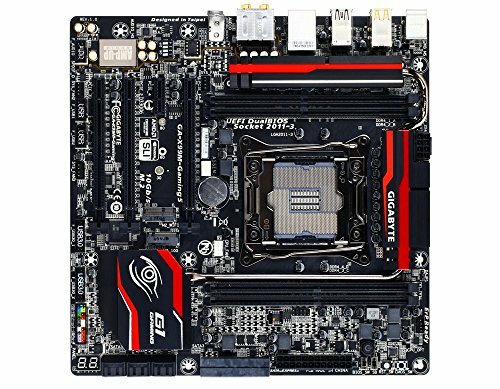 Does it affect the mobo temps? Tamiya. I just went to the model-shop and bought two spraycans of candy green ;-). Can't really tell whether or not it impacts the temp as I never ran this mobo without. Gobsmacked!! Featured build coming up!! How many tims did you wipe that window with window cleaner and paper towel? You got to send your setup and PC to Tech Source to get featured in both setup wars and PC wars, you are sure going to make it to an episode. Awesome job! Such a beautiful green apple. Yummy... An amazing piece of art, no words can describe its magnificence. Usually i dont leave comments but this is a very nice build and should be featured just for the cost of it! Love the Colour Scheme. 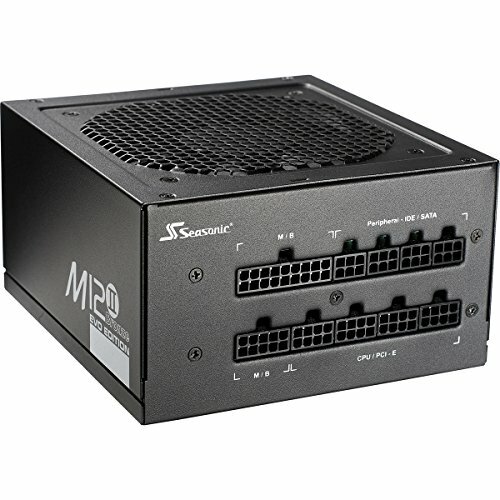 What I am noticing is that, the top 120mm fans are in push correct? (Pushing air through the rad as exhaust out of the top of the case). The Front 120mm Fans attached to the 240mm Rad are in pull. Only pulling hot air from the Radiator into the case. Where is the fresh air? The Rear 80mm x 2 slots are not being used. Good point, you saw correctly. Too be honest, this kinda made sense to me. Would you advise a different configuration? If I were to do anything, I would Buy a couple filters for the rear fan mounts and purchase two 80mm fans as intake. I personally don´t like green but you done a good job! I now name this system "The Hulk" !! Love the Custom Paint on the Ram Modules..
Congrats on featured! Beautiful build, great components too. I would post a longer post, but I'm too busy looking at the awesome computer you have. Is the Parvum case totally custom made or is it that 3-fan for the top addon thing? The case is the standard S2 case from parvum, but with the extended option to fit 3 x 120 radiator and our Annoncer logo cut out. Wasn't Windows traumatic after 20 years of Mac's? Not at all. Don't get me wrong, my wife still uses a Macbook and I love my AppleTV, but OS X Mavericks was buggy as hell for me. I sync my files with box.com so I know everything is safe (and synced to my laptop so i always have a copy). But windows has improved and I'm really liking win 10. Amazing build ! Congrats on the feat :) What are the speakers you are using ? What's the square thing a bit up your mousepad ? Thought it was the charger yeah, thank you for your answer regarding the speakers, another question though, are you satisfied with them ? I'm in the market for some. They look nice and clean and the quality is good. They definitely need a subwoofer or something though, bass is lacking. I use the Minipods for my homecinema and they are a lot better in the mid's and low's. This thing is beautiful. Any chance you'll do custom work in the future? Beautiful. Love the color scheme and the layout! Awesome build! What're your thoughts on that monitor? Im thinking of getting the same and can't find any reviews! I love it. Wouldn't know about the LG, but the size and resolution and awesome. It works so much nicer than 2 monitors. The curve is not really noticeable. There is some bleeding at the top, but I'm not bothered with it. Maybe some more USB ports, but I'm really nitpicking then. I never really got into the curved style. Makes no difference in my eyes. Great job, looks awesome. I am terrified to try liquid cooling, so kudos to you! i wonder how much hard work needed to do THIS! come on man he painted even RAM sticks.. Salute mate..
Sweet build! I love that monitor too, does it work well with windows? Are the icons too small? I heard that was an issue with huge wide screen monitors. It does, it works great toegther with the split screen app feature in windows. Great looking build! I have tons of tamiya model paint laying around for RC, didn't even consider using it for PC parts until seeing this post. But can it run crisis? Just kidding, amazing build by the way. The amount of time you put into this build is astonishing. What really was an eye catcher for me thought was the ram. How did you paint it so perfectly? This is a pretty amazing build, good job on your first loop turning out this great. One recommendation in terms of the loop order, if you can flip your upper radiator around by modifying the upper chassis holes, you can then add tubing for it to go Pump > GPU > Rad > CPU > Rad > Res, and maintain clean, simple tubing without a big congested mess. Worth a shot. Was tube bending hard, I want to build a custom loop like you did but I'm worried that hardline tubing will be way too hard for me. It's actually easy to get the basic shape but hard to get it close to perfection. The process of bending is easy but there's no easy way to actually "measure" and exactly angle how your tube will look. It's more of a guess and check thing. Oh yes... make sure you order enough tube. I wasted meters before I had pieces I was happy with. I LOVE IT! super slick and awesome. how's the monitor treating you? i have always loved dell monitors, i feel that they superseded on quality. The monitor is awesome. I love it! Damn... Is she married? Cause if not, I'm single. Just sayin'! Very lovely wonderful build my friend! Awesome job! Love how you did the RAM. It looks great. Overall great part choices for what you wanted to do. One question: What fittings did you use for your loop? Eventually want to build my own loop and been trying to figure out this whole fitting thing. I used the HD-push in fittings from EKWB. When I first received them it felt kinda weird as there are only two o-rings that prevent leakage, but they work perfectly. Thanks. Will have to look into it. What did you do for a drain port? Also, would you keep the Dell, or trade it for the new Acer Predator? And for now I'll keep the dell. I don't normally comment on the pimped-up to the hilt PCs, but this is exceptional - and also beautiful. You've put in a hell of a lot of effort and created something wondrous. Seriously, well done. Man, this is a thing of beauty. Everything is top notch. Aesthetically, one of my favorite builds here on PCPP. The ONLY small detail I noticed was that on Gigabyte mobo decal, it seems to need another coat of the wonderful green to give full coverage. But at a normal viewing distance (which isn't 6" away, lol) I'm sure it's not noticeable, also it could totally only be looking like that over the computer screen and not in person. tldr; A++, would view again. What kind of temps do you get with a system like that ? Haven't overclockerd yet, but it's running around 26 C with normal use. How are you finding the dyes in your loop, any issues? wow, that this is just amazing, i will have to remember that. also, what is the mouse and keyboard that you are using for this build? alright, what is the third razer thing over there? Not sure what you're referring to. It's either the razed mousepad or the mamba charging station. Very nice, is that case a 250D? This is too good! +1 for parvum! Awesome build and love the color scheme! @Semitia You did an amazing job! If you have not made a tutorial on how to do custom painting, you should consider it. I've seen a lot of content which is poor quality or completely improper. The system is beautiful. 980 Ti with a Titan X backplate... You seem to be a bit of a troll... Can we be best friends? Awesome built !! Great paint work on the components !! The only thing missing is the price and the parts of the cooling system. If you make another build make sure to post it because this one is really really great. Love the build, I have a black h440 with two 980tis in it that I just water cooled and was wanting Green Water to go with it. What dye did you use? Amazing! You have really inspired me to do something like this looking into parvum cases. I saw that Parvum Cases ship flat pack how was assembling the case. Also, how long and how much money did you spend with all the watercooling parts? Um...yeah can you just make a donation to my need a pimped bad a-- pc and FedEx this rig to me.... EPIC build man and the custom work is awesome! Looks amazing! Question: How is your Parvum case so long? All of the other builds I have seen seem so much shorter length wise. I thought they only fit a 240mm radiator on top... Thanks! Let Mountain View take the credit for something. Or better yet, Los Altos. Amazing! Desk setup is very clean as well! I want to use the same color scheme for my next build and go with acrylic tubing. Congrats and good luck with it! Absolutely beautiful build, but one question. Why not a straight run with a single 90 bend from cpu>top rad? Purely esthetical, I tried both and liked this one better personally. Thread vamping a little here but just ran across this build and couldn't leave before up-voting and dropping a comment. Beautiful build. Freaking unbelievably beautiful build. One day, I am going to take the time and effort to do something similar but it will never have this level of design, I'm not much on an artist type :) Main question I have is how did you get such clean cabling despite so many rads, fans, and the pump? Is there a controller tucked behind the mobo? Forgive me if this is a total noob question, I have never done anything remotely like customer liquid cooling. Thanks man! Actually, I just spent a lot of time wrapping all my cables in black material and routing them directly behind my mobo so you can hardly see them. No controller. If you look well at the pictures you can see most cables at the bottom of the mobo going behind it. Arkham reference aside, awesome build mate! Really beautiful work. I don't need it... I don't need it..... I don't need it......I NEED IT!!!!!!!!!!!!!!!!!!!!!!!!!!! It's such a beautifully simple mod! A little spray paint changes the whole look. Personally, I don't really care about my PC looking fancy, as long as it runs what I want it to, I don't care what it looks like, but still, nice job. Love the color scheme great work. Just curious does the heat ever cause the paint to heat up and make it smell? From the pictures the top and front radiator is acting as a in-take(going into the case) and there's no exhaust? +1 for the awesome machine! Thanks. The top radiator is pushing out, the front is pulling in. If a genie popped out of my magic teapot and gave me 3 wishes it'd be to have this one computer. And for to have somehow 40x more powerful EVERYTHING. And for it to have 0.1% power consumption. It was a customization option on their website. I don't see it there anymore. However, I'm sure if you email them they can tell you the extra cost. They are really great about that. One of the dankest rigs I've seen. Great work! Love it. I'm gonna steal it (the design that is). Gotta Admit... Its bloody brilliant!!! I need a new PC at the moment and I think you just gave it to me. Pretty great dad to be building PC's but that thing is amazing! I think I might take your general idea and beef it up a bit so then it is lets just say slightly more powerful :D.
Great build! I recently purchased this monitor and have it with my 970 and I get above the 60 fps mark with my games switched from ultra to high. I was wondering what fps you are getting with that current config and what types of games!? Thanks and once again your build looks mint! This is why we build computers. Who needs Dell anyway? I guess this is my alltime favourite ! Green Beast Machine. Congrats Bro! Really nice PC looks! Amazing green theme and nice parts but I think you could get better RAM for that price like the Corsair Dominator Platinum for example. Still a great build though! There are so many comments on this build! nice stuff man thanks for the advice, especially the water tubing! Will be sure to order extra when i start my own. Do you like the color green Semitia? And if you don't it's still a nice rig mate. how much did the watercooling cost? How's the 5820k after so long? What is your pc being held up on? Hey what company did you use for the water cooling parts? I think you mean the cradle for the wireless mouse? O haha, what mouse is that? I'm speechless, the custom water cooling loop in this build looks amazing. This is a true beauty, even to this day. what's the thing on the desk beside the monitor in picture 3? Just saying... You can install OSX onto your PC! That'll probably help you a ton! I bought the cables from PrimoChill. They are Kobra cables and I would recommend using the on-line cable builder. Thanks for the tip about the website, I'll tell out marketing department! CableMod sell them. Here in Australia we have a few re sellers such as Pccasegear and Mwave (others i presume). Not really sure, it gives power well, so I guess a 5? It is. You would need to buy some right angle fittings. I tried to do the same thing you did the first time I did a hard line and only use straight fittings coming out of hardware. Using right angle fittings cleans up the tubing and makes it easier as far as having less complicated bends. He actually added an extension, from how it looks in the pictures. The original is actually quite tiny. From what the pics say, it's a titan X? Boy, I wish. Not sure if they have it by now, but when I ordered the Waterblock from EKWB for the 980 Ti was actually the Titan X block. EK didn't make any 980Ti blocks since the Titan blocks already fit the card. All the screws are in the same place. Not yet. Was planning to, but couldn't find the time yet. I know it generally runs about 32 C on the CPU and 28 C on the GPU. But that's just with everyday usage. I vote that this should be added to the list. Yes, a Tamiya spray can. I was nervous as well, especially with the mobo, but it worked out fine. The superwide monitor gives me exactly the amount of screenspace which is perfect for Photoshop and After effects. As for painting, it was way easier than I thought. I didn't wear a mask, just did it in a well ventilated area and painted in thin layers, letting each layer dry well before putting over the next one. I love the monitor. There is some bleeding, but I'm not really bothered with it. The resolution and size just make it awesome. 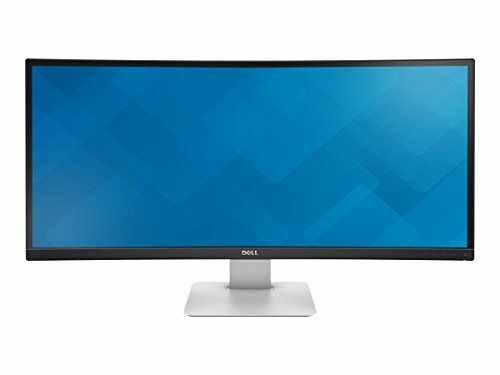 I have a 30" cinema display at work that I would happily trade in for this Dell monitor. Hard to say, I've always had Apple Cinema displays and those are really great, so never experienced 'bad' bleeding. Given that, I would say only a 2 or 3.